I can remember taking piano lessons as a child and always seeing this old-fashioned box on the piano (much like the picture above). I was always curious as to what it did until my teacher started making me use it. It's called a metronome. Every week I had to play my songs to the 'tick-tick-tick-tick' of this little box. And to be honest, I didn't like it very much. I wanted to play faster. Sometimes I needed to play slower. But regardless, I always had to play with it. It wasn't until later on that I realized the HUGE benefit of practicing and playing to this little device. It engrained in me a consistent and steady sense of tempo, which has paid big dividends today. Anytime you listen to your favorite album, a song on the radio, or even a live concert, 9 times out of 10 there's a metronome somewhere. You may not hear it, but the musicians who are performing are definitely listening to it. So how can you use this device to make you a better musician? 2. Start slow! The temptation is to play songs too fast. It takes practice and discipline to start off slow. If you are having problems mastering a certain technique or part of a song... slow it down! Practice it at a slow tempo until you can play it perfectly. Then gradually speed up the tempo. 3. Use it ALL THE TIME! Use it when you practice. Use it when you perform. And in no time, you find that you don't have to use it anymore. Some of the greatest musicians have played with a metronome so much that they can play without it, and you'll never know the difference. 4. There are all kinds of metronomes. There's the traditional kind like the picture above, but there are also plenty of apps for your phone and tablet. Download one to your phone, and you'll have a metronome anywhere you go! 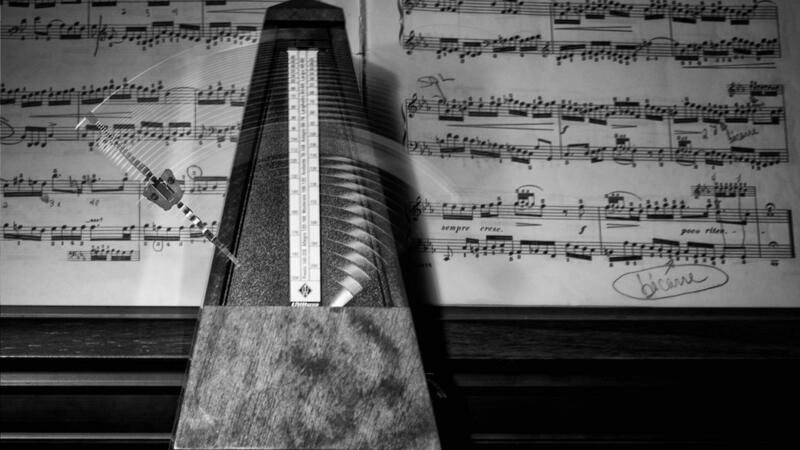 So hopefully this gives you a better idea of what a metronome is and how it can take your playing to the next level. Happy practicing!